How many of us actually know how our garage doors work? Though it may look like an ordinary door put together by a couple of nuts and bolts here and there, we often take for granted the 300+ different part used to make a garage door. If one of them stops functioning then your garage door will soon play up too. 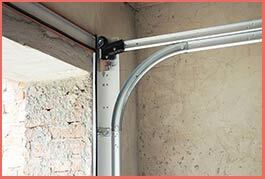 You garage door is operated by a spring system that is used to lift a weight, in your case, a garage door. If you’re facing a problem with the garage door operation, then you need to seek professional assistance at once. Uncontrolled release of extension springs and attempts to fix it yourself without proper knowledge can lead to harmful injuries or expensive repairs to the property itself. So go ahead and call us to secure your family and your property by choosing one of our services to ensure that your garage door springs are in proper condition. 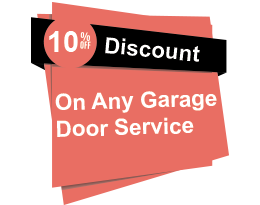 Our team of technicians will clearly identify the problem and make sure your garage door is functioning well once again. After all your safety is our priority. There are two types of spring systems that are used in a garage door. In this method there are cables running from the top of the garage door attached to the bottom and consists of coiled springs that stretch when closed and when opened the energy in the spring is released and the door opens. As simple as it may sound, this type of spring systems can weaken over time due to closing and opening and eventually break, causing chaos. These types of garage doors need to be checked by professionals to ensure proper working and good condition of springs. A torsion spring is a spring that is mounted on top of your garage door. When the door is opened the cables connecting the springs unwind and the stored energy is used to open the door. Overtime due to opening and closing it may weaken. It is important to note that addition of insulation or glass to your garage door can put a strain on your garage door. Other factors such as poor maintenance could also shorten the life of torsion springs. An average garage door fitted with torsion springs undergoes 10,000 to 15,000 cycles, however, that number maybe greatly reduced by buying low quality garage doors springs. Thus it is essential to buy good quality and durable springs to ensure longevity. Call Express Garage Door Service for installation of top quality springs and maintenance services in Brooklyn, NY area!